BOB ABERNETHY, anchor: This coming June Hollywood releases a major motion picture dealing with a difficult ethical issue — genetic engineering. It’s based on one of the novels of Jodi Picoult, who creates bestsellers out of tough moral choices. Bob Faw has the story. BOB FAW: Squirreled away in her New Hampshire farmhouse and writing at a feverish pace, Jodi Picoult does more than churn out best-selling novels on gut-wrenching moral dilemmas. She also forces her readers to think, even squirm. JODI PICOULT: I’m not going to tell a person how to think, don’t believe in that. What I want to do, when I write these books, is just to say don’t be so sure of yourself. Let me pull the carpet out from underneath you, and let’s see if you can still find the footing. FAW: She has done in each of her 16 books, which have sold over 15 million copies — some so provocative, with so many twists and turns, they’ve been turned into films. Next month Hollywood releases her “My Sister’s Keeper,” which explores the implications of genetic engineering. ANNA: Most babies are accidents. Not me. I was engineered — born to save my sister’s life. FAW: What happens, Picoult asks, when the child conceived to help save her sister decides that she doesn’t want to? MOTHER: What’s going on? Anna, you’re suing us? ANNA: I don’t want to do it anymore Mom. It’s my body. I want to be able to make my own decisions on what to do with it. Ms. PICOULT: You may read that book and say it is morally wrong to conceive a child to save the life of another sick child. But if I put you on, you know, underneath the microscope, if I point a finger at you and say you are in that situation, can you honestly tell me, as a parent, that you would not do anything you had to, to save the life of your child? I really defy you to be able to say that you would not do it, too. 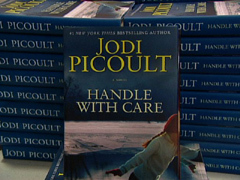 FAW: Picoult chooses contemporary topics like that, often ripped from the headlines, for example, examining the death penalty in “Change of Heart.” After the tragedy at Columbine, she wrote “19 Minutes,” which focuses not only on bullying but on the moral dilemma of parents whose son has, as in Columbine, gunned down 10 of his classmates. Ms. PICOULT: Can you be a good parent and still wind up with a child that commits a horrific act? And if your child does that, how can you love a child that does that? If you’re a good parent how can you not love him? FAW: What has to resonate with you before you embark on a topic? 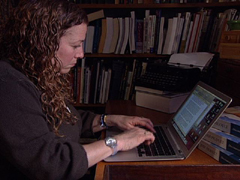 Ms. PICOULT: It has to be something that I’m usually worried about — something that keeps me up at night. It’s the thing that’s like a splinter in your brain that won’t go away — that you keep circling back to, over and over. And I keep thinking about it and asking myself questions like what would you do in that situation, or what if this parameter had changed? And I keep thinking about that. I know it’s going to be a great idea for a book. FAW: In “The Tenth Circle” Picoult explores the moral choices facing a teenager living in a culture of sexuality and drugs. Her latest book, “Handle with Care,” which is already at the top of the charts, centers around a five-year-old girl, Willow, who has a severe disability. FAW: The girl has osteogenesis imperfecta, leaving her with bones so brittle she will have thousands of breaks during her lifetime. To pay for her care, her mother files a wrongful birth suit against her obstetrician, who is also the mother’s best friend. Ms. PICOULT: I think many of my books, including “Handle with Care,” including “My Sister’s Keeper” circle back to how far are we willing to go for the people we love? I think love changes the way we think. It’s the thing that takes you out of what your normal set of beliefs would be. FAW: Picoult does extensive research for each book—visiting the Rhode Island Crime Lab for an upcoming novel, spending time on death row for “Change of Heart,” or staying on an Amish farm for “Plain Truth.” What sets her apart isn’t just the research and her painstaking attention to detail. What also sets her apart is her refusal to take the easy way out. Ms. PICOULT: I think that’s totally possible, and I do believe very often the closer we are to a person who’s causing us to take these actions, the blurrier that line gets for us. FAW: It’s a willingness to grapple with all sides of a debate which has won her an almost cult-like following. Sally Crouch and her daughter, Beth, drove four hours to see Picoult at this Baltimore book signing. BETH CROUCH: Even though it seems like black and white, I think she writes it so you really don’t know. She leaves it up to you to decide. FAW: It’s a sentiment echoed by many of her readers. LEAH CARTER: I think she just keeps your mind open to everything. Like, you know, if you have an opinion about one topic, then all of sudden now you can see maybe somebody else’s side of the story. FAW: And Picoult doesn’t sugar-coat those issues. In her “Plain Truth,” for example, where an Amish teenager is charged with murdering her out-of-wedlock baby, an entire religious community is put on trial. (From novel “Plain Truth”): In fact, Katie Fitch is the first Amish person in this state to be charged with murder, ever. You know why? Because Amish people don’t commit murder — ever. FAW: Picoult’s portrayal is harsh. 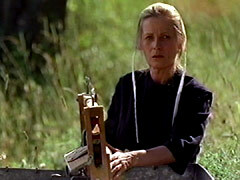 Here the villain is none other than a devout Amish mother. Ms. PICOULT: I think that what I did was strip away the rose-colored glasses, because we have so idealized their existence, their simplicity of life and, you know, their adherence to faith that we’re not seeing them very clearly. Their citizens run the gamut. FAW: Religion, says Picoult, has brought comfort and misery. She does not affiliate herself with any formal religion. Ms. PICOULT: I do believe in God, though, and yet I totally support the fact that there are people who do not believe in God, and I think that if you are Catholic, that’s great, and I think if you’re Protestant, that’s great, and if you’re Jewish, that’s great, and I firmly believe that there is just not one way to do it. FAW: Even though she forces her readers to think about the unthinkable, Picoult says for herself she’s never been happier in that New Hampshire home she shares with Delilah and Quigley, two miniature donkeys. Ms. PICOULT: Even though I don’t write about things that come from my life because I’m — I’m lucky, and I live in a great place with great kids and, you know, a great husband, I think you can find threads of me in the characters, so that’s really what being a writer is, probably. It’s being able to dilute something about you — just a tiny little dollop of it into, you know, the heart or the soul of different characters. You are always bleeding a little piece of yourself into everybody. FAW: Although some people of faith would say there is always a right or wrong side, for Picoult that choice is not so clear and can be agonizing to make. FAW: When you think you’re right, you are most likely wrong. Ms. PICOULT: You might think you’re on one side of it and find out you’re actually on the other. FAW: Agonizing choices in a confusing world — the ideal ingredients for a novelist and former teacher. 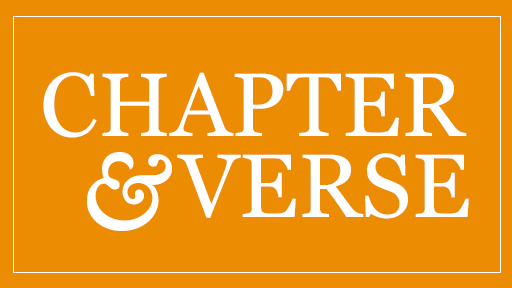 Ms. PICOULT: It’s certainly my honor to be able to, hopefully, change the world a tiny bit, one mind at a time. If you can make them understand why someone with a differing opinion has that opinion and at least come to respect that opinion, I think you make the world a better place. I think I’m still teaching. It’s just a really big classroom. LAWYER: You’re supposed to give her a kidney? ANNA: I want to sue my parents for the rights to my own body. LAWYER: Would you repeat that, please? FAW: For RELIGION & ETHICS NEWSWEEKLY, this is Bob Faw in Hanover, New Hampshire.